Inequality in America is on the rise. Income gains since the 1980s have been concentrated at the top. The top 10 percent today take home 30 percent of all income, and control over three-quarters of all wealth. We have returned to the level of income inequality that marked the Great Depression of the 1920s and 1930s. Who gets what in America continues to be impacted by a person’s race, gender and family resources. What’s striking, however, is how little people seem to notice. Evidence from the International Social Survey Programme suggests that people increasingly think their society is a meritocracy – that success in school and business simply reflects hard work and talent. This belief is held most dearly by Americans, but citizens across the world are growing more convinced. In my dissertation research, I explored the idea that people’s beliefs originate in their childhood experiences. My research suggests that people in more socioeconomically and racially diverse environments are more likely to appreciate how life outcomes are shaped by structural factors such as race and wealth – that is, the ways in which a person’s family wealth, gender or skin color may impact their chances of getting into college or finding employment. However, increasing levels of income inequality and segregation mean that modern-day Americans are growing up in less economically diverse environments than in the 1970s. Consequently, people on either side of the income divide cannot see the breadth of the gap that separates their lives from those of others. As the gap grows wider, other people’s lives are harder to view. 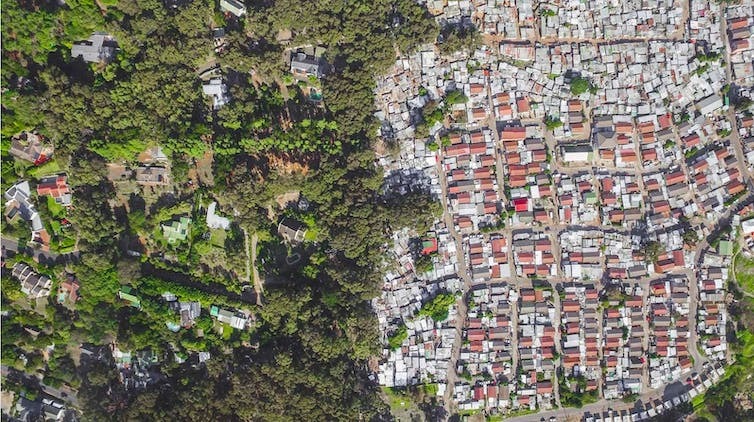 Rising inequality prevents people from seeing its full extent. When I looked at respondents’ explanations in light of their own background, I discovered a telling relationship: People who grew up in more socioeconomically or racially diverse environments were more likely, by about 20 percent, to explain life outcomes in terms of structural factors. Conversely, people who grew up in homogeneously rich or white neighborhoods saw success in meritocratic terms. It would take a major intervention to bring actual opportunities in line with the American Dream of social mobility. The next generation’s choices will shape tomorrow’s America. It is up to us, however, to decide what world this generation grows up in, and through what prism they come to see their society.